This how-to Twitter tutorial is designed to get you up and running on Twitter in 15 minutes or less. You'll learn the basics of how to use Twitter by setting up your Twitter profile, sending your first tweet, and deciding how you want to use Twitter. First, go to twitter.com and fill out the three sign-up boxes on the right, entering your real name, real email address or phone number, and a strong password you'll need to write down and remember. It's generally a good idea to give Twitter your real name because Twitter is all about real people. Right? Anyway, the next step is to deselect the 'Personalize Twitter' option you're given unless you really do want to receive lots of mail from Twitter. After you click Sign up Twitter will display another page with the three items you just filled out and a suggested Twitter username at the bottom. Your Twitter username can be different from your real name but doesn't have to be. Twitter's suggested username will be based on your real name, but you are free to change it. If your real name is available on Twitter, that's usually a good username to choose. But if your name is already taken, Twitter will add a number after your name to create a similar username. That's a terrible username strategy, just adding a number to your name. You'll want to change that suggested username to something a little classier and more memorable than a random number. You can add a middle initial or shorten your name to a nickname; either is better than a number. So make sure you choose something short and easy to remember, ideally with at least your first or last name in it so it's tied to you in some obvious way. "ProfPhil" is better than "Phil3." You get the idea. Click Create My Account when you are done. Next, Twitter will invite you to find people to follow by asking you what topics interest you, but don't start following people just yet. You're not ready. Skip these pages by clicking the blue Next Step button at the bottom of the first page. Then click the Skip Import button at the bottom of the next page, which invites you to search your email contacts to find people to follow. Go to your email account, check for the message that Twitter sent and click on the verification link it contains. Congratulations, you are now a confirmed Twitter user! Your next step should be to flesh out your profile before you start following people. Why? Because clicking "follow" on someone often causes them to click through and check you out. When that happens, you want your profile page to tell them who you are. You may not get another chance to persuade them to "follow" you, which means subscribe to their tweets. So click Profile in the top menu on your Twitter home page, then Edit Your Profile and fill out the settings. To flesh out the profile info that others see, click the Profile tab in the settings area. Uploading a picture of yourself will usually help get you more followers since it makes you seem more real. Click Choose file next to the picture icon and navigate your hard drive to find a photo you like, then upload it. Next, add a short description of yourself (fewer than 160 characters) in the bio box. The good text here helps attract followers by making you seem more interesting. It's also worth specifying your city and linking to any website you may have in those boxes. Click Save when you're done filling out the short profile. You can customize your design colors and background image by clicking on the "design" tab, and that's a good idea, too. Since you're no doubt itching to get started and become a true Twitterer, go ahead, send your first tweet. Sending these messages can be the best way to learn how to Twitter – learning by doing. It's a little like a Facebook status update, only the Twitter messages you send are public by default, and must be short. To send a tweet, type a message of 280 characters or less into the text box that asks "What's Happening?" You'll see the character count drop as you type; if a minus sign appears, you've written too much. Trim a few words, and then when you're satisfied with your message, click the Tweet button. Your tweet isn't sent to anyone yet because no one is following you, or subscribed to receive your tweets. But your tweet will be visible to anyone who stops by your Twitter page, either now or later. Resist the urge (for now) to use strange Twitter language. You'll learn the lingo as you go. So that's it. You're a Twitterer! There's plenty more to learn, but you're on your way. 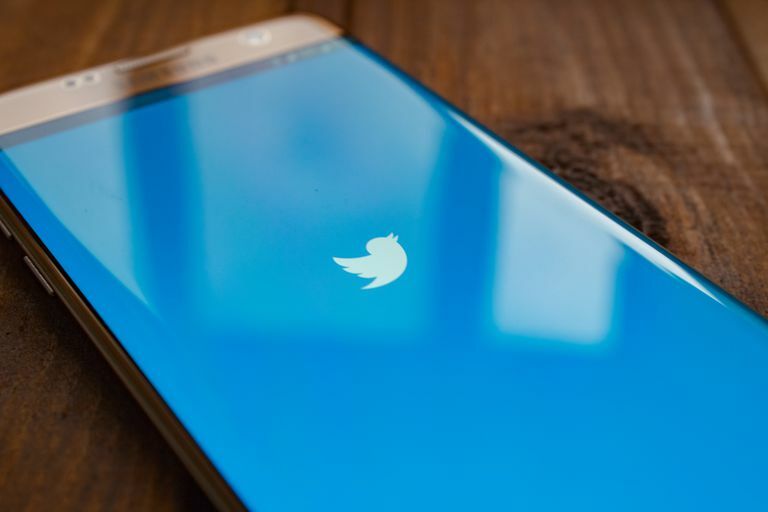 After finishing this beginning Twitter tutorial, your next step will be deciding who to follow and what kind of followers you hope to attract. Read Choosing A Twitter Strategy guide to help you figure out who you should follow and why.